Ed Rehmann and Sons in the 1940s. In a bucolic town, with a cold winter climate, many customers gear up with Ed Rehmann and Sons’ Carhartt merchandise. Carhartt brand materials have been sold at the store since the beginning, making Ed Rehmann and Sons one of the Dearbon-based company’s oldest accounts. Many customers even travel across the state to stock up. When the Great Depression hit, Ed and Eva had to figure out different ways to get their customers what they needed. They sometimes traded Carhartt for corn or other vegetables. They worked with what the customers had and in some unique cases, wouldn’t even charge. Not only are they one of the oldest Carhartt brand accounts, they’re one of the largest small retailer sellers in the nation. Ed Rehmann and Sons received the Hamilton Carhartt Award in 2000. The award is given out by Carhartt in honor of their founder, Hamilton Carhartt. Like a ‘Retailer of Excellence Award,’ only three of Carhartt’s thousands of retailers carrying the clothing received an award. 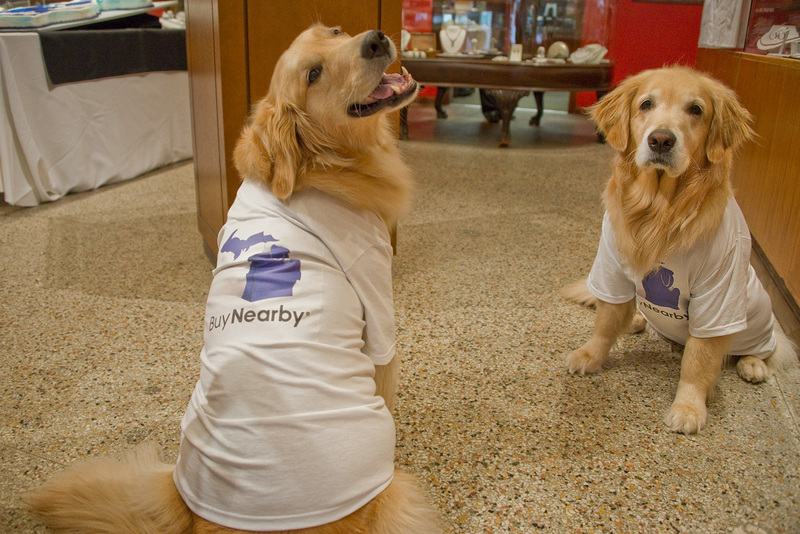 “They have over 6,000 accounts and it meant a lot to us to win. Knowing that we get up in the morning to take care of our business and to take care of the customer, it meant that they recognized us as being a special account. We were very humbled,” said Ric Rehmann, Ed’s grandson and current partial owner. 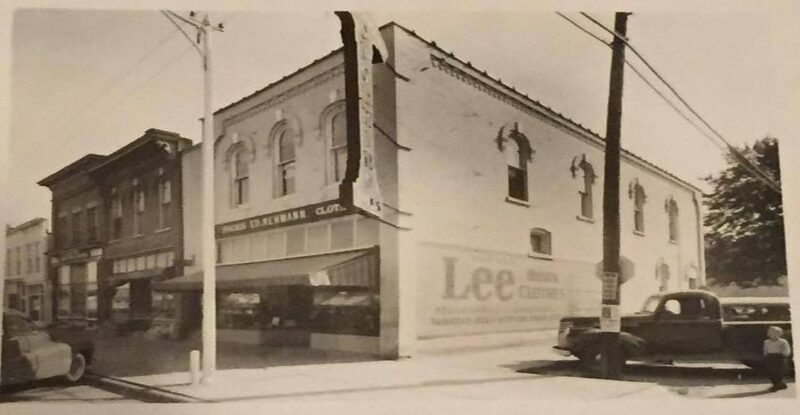 Carhartt will be doing a renovation in a portion of Ed Rehmann and Sons this spring. With new wall displays and an updated feel, the new facelift is all courtesy of Carhartt as a thank-you to one of their special accounts. Ed Rehmann and Sons has sold Minnesota-based Red Wing Shoes since 1920, making them one of the oldest accounts on record. On tops of these two popular brands, they also sell Stormy Kromer and are also one of the largest sellers in the state. 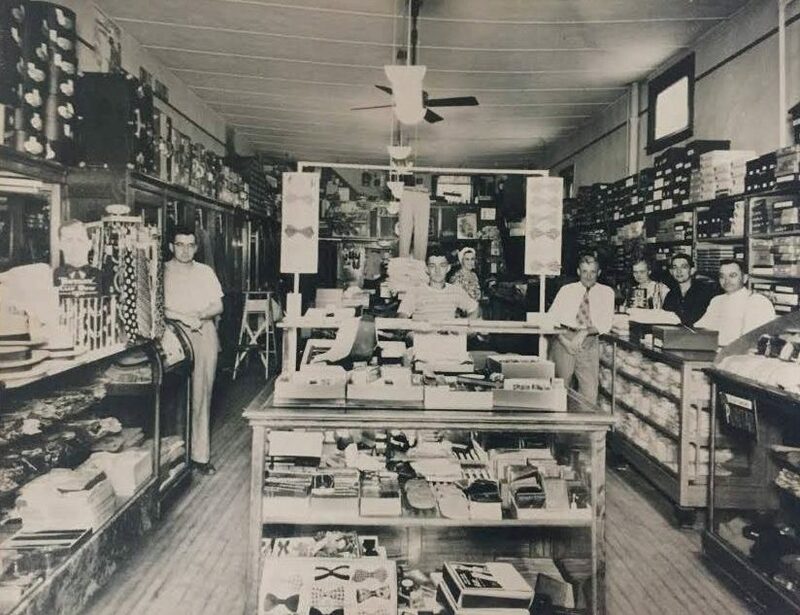 A look inside the store in the 1940s. Founder Ed Rehmann immigrated to Michigan from Austria at 17 years old. He spoke five languages and found work on a farm. He came into a store in downtown Chesaning and was able to communicate to customers who spoke Slavic, the nearby coalmining Italians and neighboring Polish-speaking customers. Appreciative of Rehmann’s language skills, the store owner asked him what else he could do. Ed answered that he was also a tailor. They went upstairs and Ed sewed him a suit. The store owner hired him on the spot. 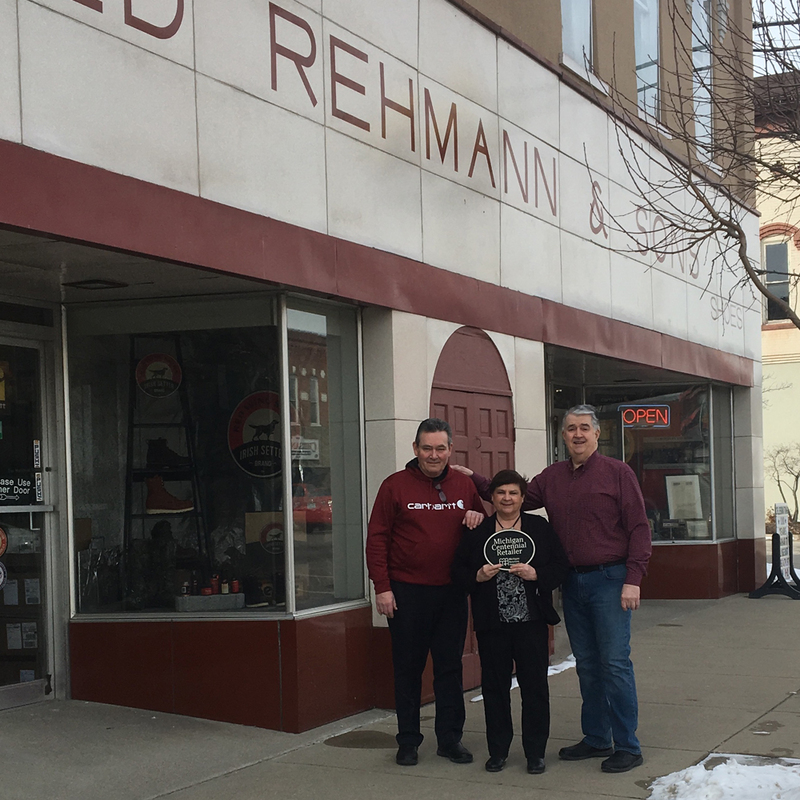 When the original owner of the store decided to retire, Ed and Eva decided to buy the store and thus, Ed Rehmann and Sons was born. “My grandfather had three words that he knew his success was going to be dependent on. The first was quality. You can sell junk to a customer once, but you won’t twice; they won’t come back a second time. “The second was service, meaning providing good service to the customer. The third was dependability. We know that with a customer, you can have everything that they want but without that quality and service, they aren’t coming back,” said Ric. 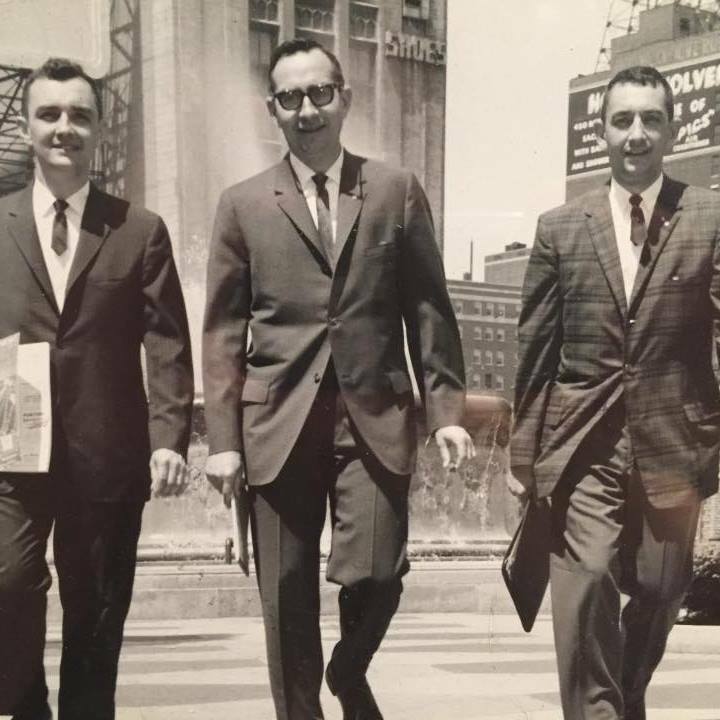 Albert, Donald and Richard Rehmann, second generation owners. In 1958, the second generation of owners, Donald, Richard and Albert, took over. The current, third generation of owners took over in 1986. 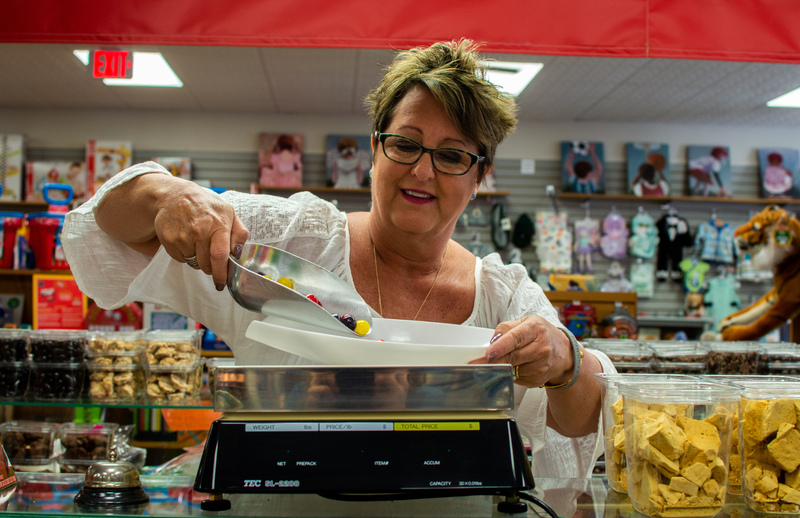 Ric and Rob Rehmann, sons of Richard Rehmann, along with Rob’s wife, Nancy, now operate the store and continue to stay true to the store’s roots. “I think what makes this milestone so special is fulfilling my grandfather’s and grandmother’s dream,” Ric added. A party is planned for June 15, complete with a hog roast. But for now, the store has one hundred years down, with a plan to keep going. As the Rehmann’s say, the business celebrates #100yearsandcounting. The Michigan Retailers Association awards businesses that reach the milestone year. If you know of a business over 100 years old, contact MRA’s Rachel Schrauben at rschrauben@retailers.com or nominate a retailer at www.retailers.com/member-benefits/member-recognition.